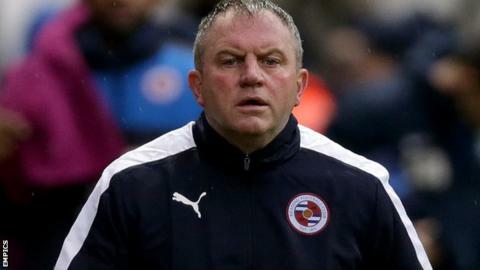 Reading caretaker manager Martin Kuhl hopes the club will move "as quickly as possible" to appoint a new manager. Kuhl took charge of The Royals as they lost 1-0 at Preston on Saturday and slipped to 12th in the Championship. "At this moment in time, I haven't heard anything and I'm assuming I'll be in charge on Wednesday at Hull," he told BBC Radio Berkshire. Under-21s manager Kuhl was placed in charge of the first-team after Steve Clarke was sacked earlier this month. "I'll prepare to take training at the start of the week," Kuhl added. "It's up to Nicky Hammond and the board to appoint a new manager and I'm sure they're trying to get something in place. Hopefully the sooner, the better. "No disrespect to me or the lads, the club just needs a focus on what we're trying to do and how we move a step forward. "The focus for whoever comes in will be to move on from there." Brian McDermott has been linked with a return to Reading, a club he last managed in the Premier League before being sacked in March 2013.